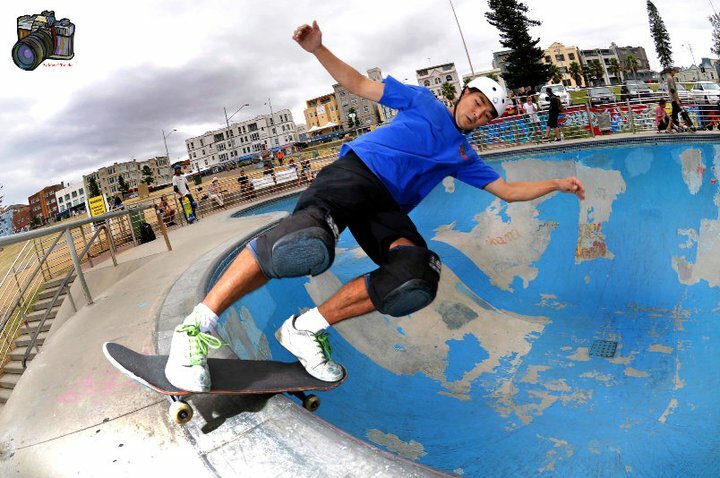 I Skate, Therefore I Am: Bowl-A-Rama Bondi: will the pool be ready? Less than 10 days before the 6th Bowl-A-Rama at Bondi, the biggest concrete event in the Southern Hemisphere. While skaters still shred the pool again and again, others at the bottom of the pool, which currently looks awful, are assessing the damage of one full year of sun, storms and shredding… Those guys are working on it so it looks pristine for the big day in February.. The bowl is currently being, stripped, repainted and pampered but people are saying she is not going to be ready… OMG! That would be a nightmare. 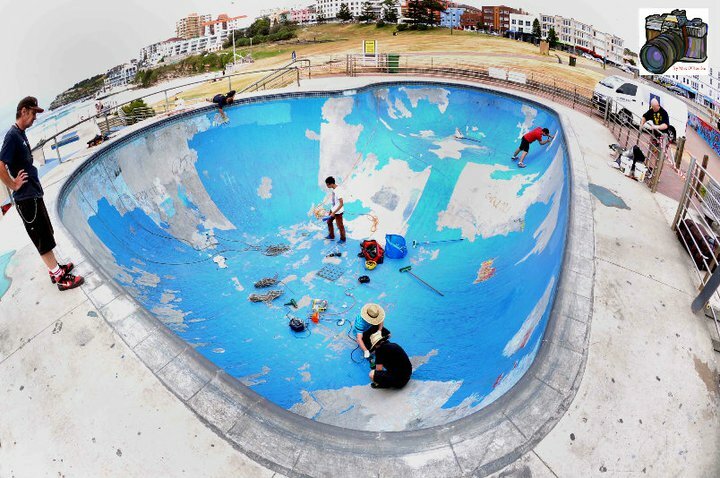 Obviously Vans and Bowl-A-Rama can’t let the contest go in a pool like that, so give the crew another couple of days and the new Bondi pool 2011 will look as splendid as the one the 2010 crew left if last year after the contest. Sixty of the best pool riders of the planet will be there soon including: Lance Mountain, Steve Caballero, Christian Hosoi, Pat Ngoho Bucky Lasek, Omar Hassan, Bob Burnquist, Rune Glifberg, Otavio Neto, Jackson Pilz, Juergen Horrwarth, Renton Miller and Corbin Harris. Adam Luxford. Photo Max O'Rourke. Andrew Mitchell at Bondi. Photo Max O'Rourke. Bondi Beach, February 7th 2011. Will the pool be ready for the contest? Photo Max O'Rourke. Bondi Beach getting ready for the Bowl-A-rama. Photo Max O'Rourke. Fabio Ticara. Photo Max O'Rourke. Nathan Beck, Bondi Bowl, February 7th 2011. Photo Max O'Rourke. Nathan Beck, Bondi Beach. Photo Max O'Rourke.